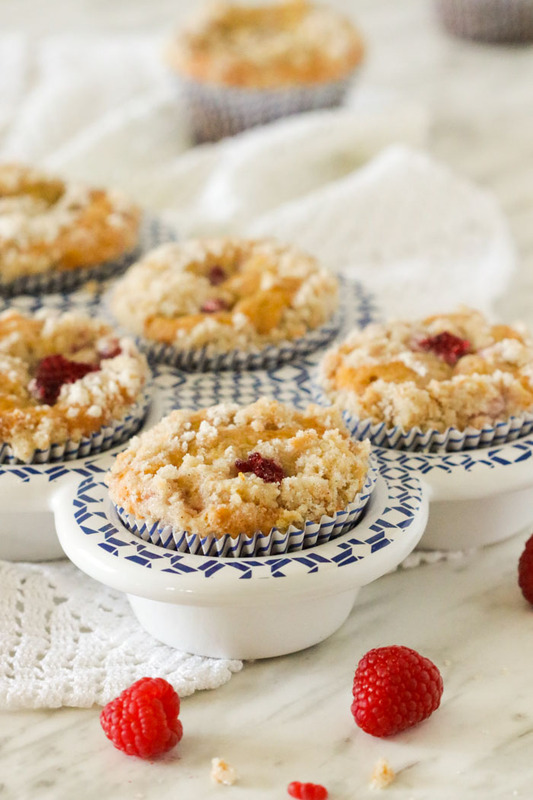 These easy raspberry crumb muffins are super moist and delicious. looks delicious when are we eating them!!!!! Hi Carmie, you will have to come over quickly. There are 2 left ? Delicious! Will be a regular recipe in our house! Thank you Marisa! Odile, I am glad to hear you enjoyed them. I am actually making another batch today. Simply replacing the raspberries with 2 ripe mashed bananas and 3/4 cup semi-sweet chocolate chunks. ? Yummy, bananas and chocolate! I will also try with blueberries. I really like the texture and overall taste, so many possibilities! It is officially a family favorite! 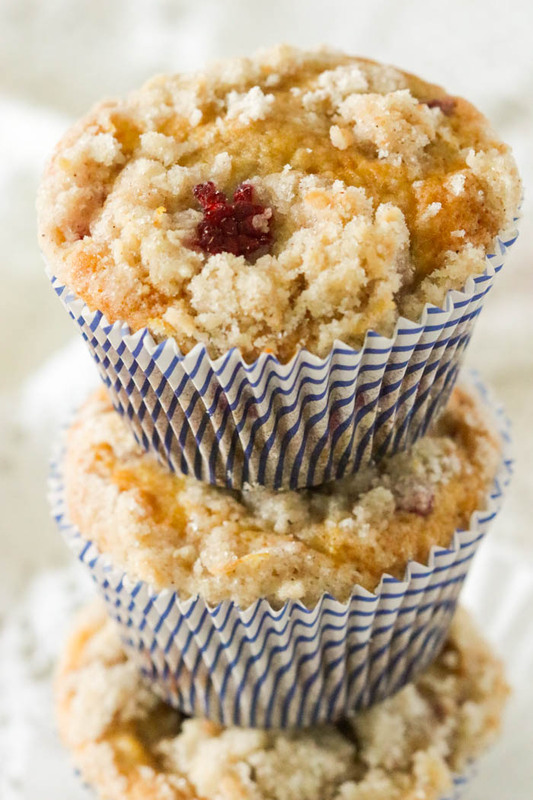 Muffins with berries are the best and crumb topping lends a lovely contrast to the moist muffin! Thanks Ronit! Wow great recipe. I have frozen raspberries, I might have to make this soon! You may want to make a double batch, they’re that delicious Kathryn! 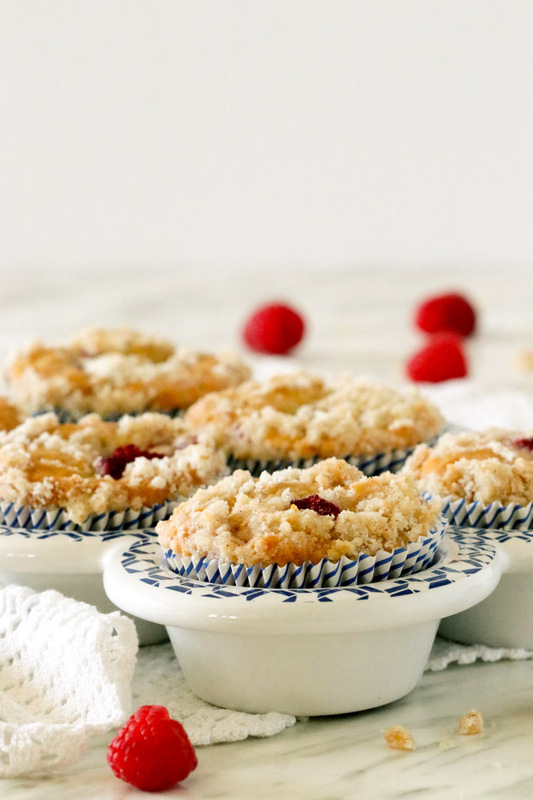 These look like a perfect treat any time of the day! Thanks Annika, they are pretty special and perfect sweets for those lazy weekends! Apt for tea time and so delicious they look. Such beauties and I love those muffin holders! Thanks Vidya, I purchased the ceramic muffin tins at Homesense and I must say they are wonderful…the baked goods brown evenly and they’re easy to clean. This muffin recipe is a keeper? Hey Marisa, they are gorgeous indeed. Cheers! 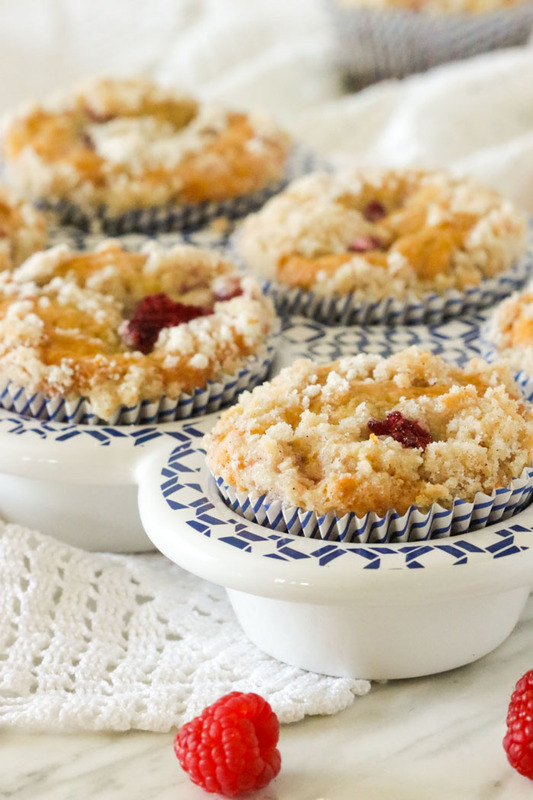 Josette, you may just want to make a double batch…they’re that good! ? 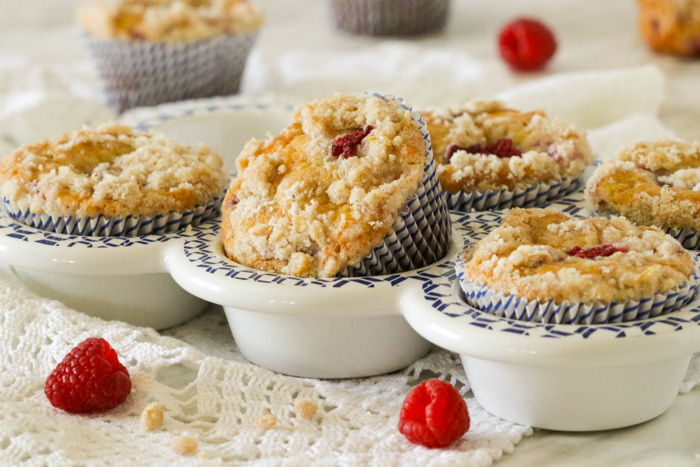 Mmm….love the addition of lemon – lemon and raspberry is one of my favorite combinations! Mine as well and they just pair so well together don’t they! Thanks so much for dropping by?